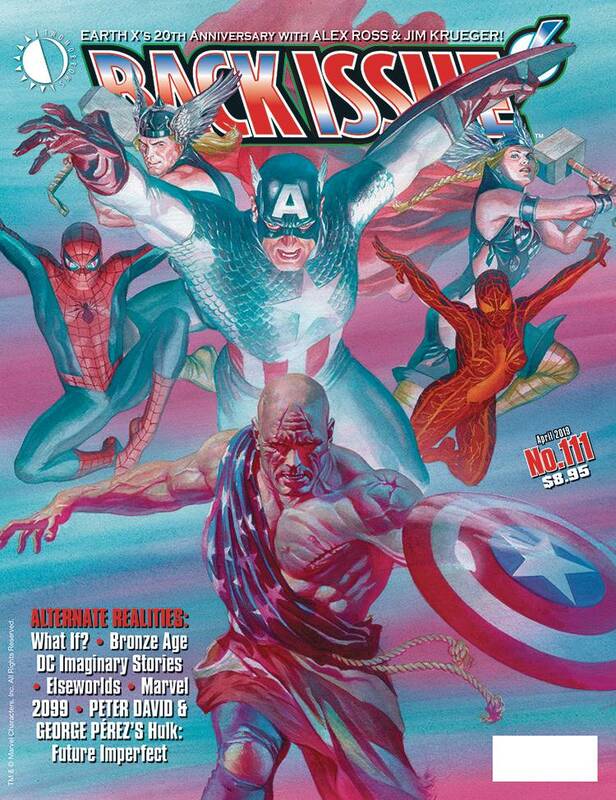 Back Issue #111 is the ‘Alternate Realities’ issue, cover-featuring the 20th anniversary of Alex Ross and Jim Krueger’s Marvel Earth X! Plus: What If?, Bronze Age DC Imaginary Stories, Elseworlds, Marvel 2099, and Peter David and George P?rez’s senses-shattering Hulk: Future Imperfect. Featuring Tom DeFalco, Chuck Dixon, Peter B. Gillis, Pat Mills, Roy Thomas, and many more! Featuring an Earth X cover by Alex Ross.